We have been looking for Reggie, the Roomba iRobot for quite some time. Before Christmas, actually! Well, we finally found a refurbished 530 model (pictured above) on the iRobot website essentially saving us about 40%! We put our buddy to the test, and we were amazed with the results! He picked up so much dirt and cat hair. After the job was done, it just felt so much cleaner in the basement (where we currently live, waiting for our house to close). He did unfortunately have a run-in with one of the cat toys. He decided to eat the strings and take some time out from work. 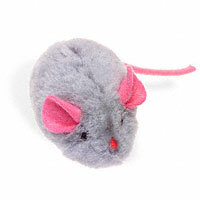 Reggie is very brilliant when he comes up close to objects, he slowly and softly taps his surroundings. He did get a little destructive when it came to cat food. He hit the bowls down and ate the little pebbles. I guess that long trek to get here made him a little hungry. All in all, this is a great product - and I would highly recommend it for pet dander and daily cleaning ... I will admit I am not much of a vacuum connoisseur. When the iRobot is tired, he uses his cycloptic info-red eye to find his sleeping station - to rest up, and recharge for his next day's cleaning task. I will have to take a normal vacuum to stairs and such, but I am mighty impressed at this little guy! 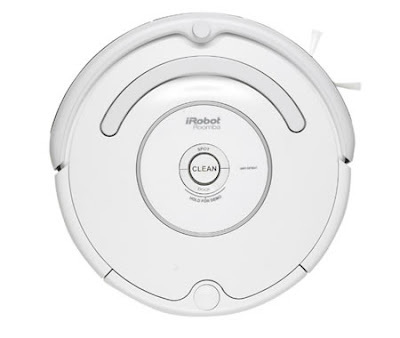 You should check the iRobot site and see if there are any great refurbished deals, or if you want to pay full price for any model, I highly suggest this purchase! He is awesome! It's great for people with allergies or just with babies to keep up with the dander. :D It's so much cheaper to find it refurbished and they offer it right on the site, so that was nice!